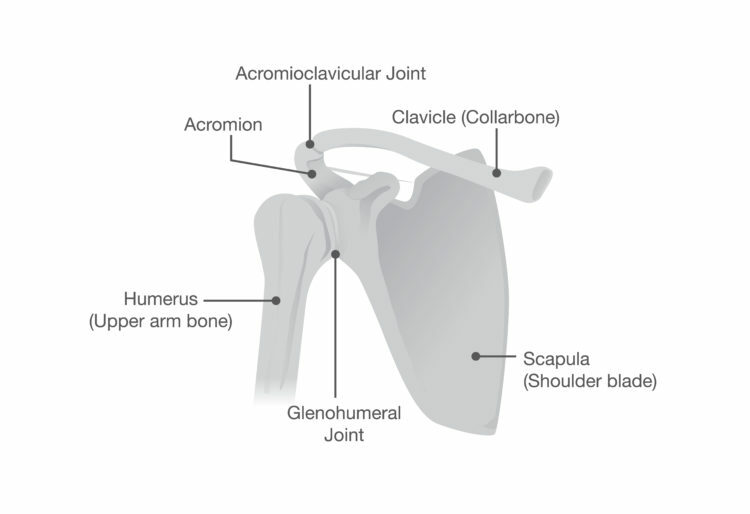 The shoulder joint is a complicated region with a lot of available movement and plenty of possible areas of aggravation. The following is a selection of passages from Eric Beard’s Anatomy of Shoulder Impingement lecture that might help with your education of this region. The kinetic chain is comprised of the nervous system, the muscular system and the skeletal system. Posture and alignment are a function of the human movement system. It’s how a body lines up and performs. These three systems are interdependent and are only as strong as the weakest link. Bones come together and form joints, creating the articular system. Our joints are held together and supported by ligaments. The bones that create the joints are typically lined with different types of cartilage. It’s critical that we keep these bones lined up and that we maintain the health of the cushioning of the cartilage. Unwanted reciprocal inhibition is when there’s one short, tight muscle that inhibits its opposite muscle. As people are sitting with rounded shoulders, the pecs and the lats often get physically shortened or neurologically overactive. This inhibits the posterior stabilizers of the scapulae and decreases the ability of the lower and middle trapezius to retract, depress and upwardly rotate the scapulae. Movement of the extremities is often described as adduction, which is an internal movement into the body, and abduction, and external movement away from the body. Abduction is moving away from the midline, whereas adduction is coming closer toward the midline. As we look at the strength of the muscles in the shoulder joint complex and what movements are strongest with them, adduction is the strongest movement in the shoulder complex. We have many muscles that can pull into adduction and produce the most force in that direction. In terms of strength, after adduction is extension; after extension follows flexion; after flexion follows abduction; after abduction follows internal rotation. Internal rotation is followed by number six on the list—the weakest movement—that of external rotation. We’re strongest at adduction and weakest at external rotation. Glenohumeral joint abduction is produced by a force couple of the rotator cuff and the deltoid. This accounts for about one-third or 60 degrees of glenohumeral joint movement. Then we have upper rotation of the scapula, which is produced by the force couple of the serratus anterior and the upper and lower trapezius. This accounts for up to 120 degrees of total glenohumeral joint movement. There’s a lot of action through that scapulothoracic joint, and things can often get problematic. Once things get problematic—when a cumulative injury cycle has been kicked off—there’s tissue trauma at a micro-cellular level. We’ll start to see inflammation and muscle spasms. These spasms will restrict tissues from extending and lengthening like they should, which will alter neuromuscular control and affect joint articulation. That can create more muscle imbalances, which further spin off the cumulative injury cycle. Once this trigger has been tripped, it’s going to keep going and keep going until we do something about it. 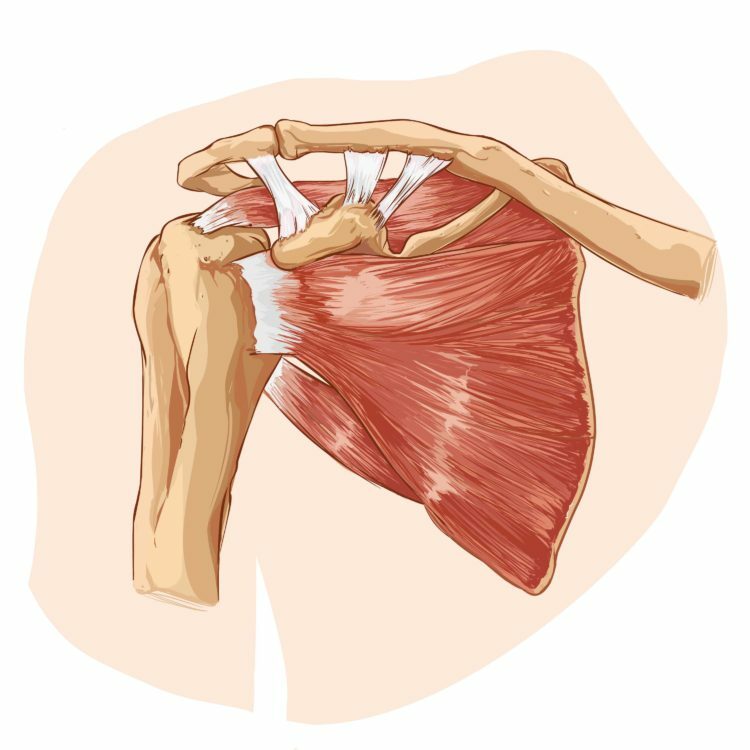 Click here to review Eric’s complete Anatomy of Shoulder Joint Impingement lecture. Plus, Sue Falsone has an entire video devoted to the shoulder joint. You’ll also be interested in the Immaculate Dissection Functional Anatomy video.